The Continuum 600 and 1200 systems support the Stratus VOS multiprocessing operating system designed for critical online computing. Stratus servers deliver five nines (99.999%) and greater uptime–we call it Continuous AvailabilityTM. From an end user’s perspective, the Stratus approach to availability is automatic and transparent because every aspect of the Continuum Server system has been engineered from the ground up to safeguard uptime. Just plug in the system and load the application to get all of the advantages of Stratus Continuous Processing features, including lockstep technology, failsafe software, and ActiveServiceTM architecture. The Stratus® Continuum® 600 and 1200 Series are the most powerful systems that Stratus has ever offered for supporting your largest critical online applications. Continuum servers give you unprecedented power and robust open systems. The Continuum family combines RISC-based (Reduced Instruction Set Computing), symmetric multiprocessing technology with Stratus’ proven continuously available architecture to give you the power to meet your organization’s most critical needs. Because Stratus has designed continuous availability right into the Continuum architecture, you get the highest possible uptime with little or no additional configuration, administration, or special programming. 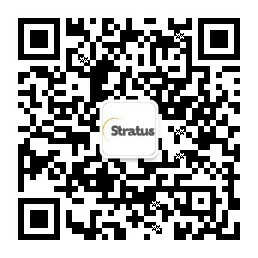 Online service and system administration let both you and Stratus monitor every aspect of your system and application. In the event of a component failure, Stratus’ architecture ensures that your system continues to function uninterrupted at peak performance, while our worldwide network of Customer Assistance Centers is automatically alerted to ship you a user-installable replacement part. *Previous-generation models are subject to availability. View all Previous Generation Products.